The sudden illness in Britain of a Russian man convicted of spying for London has drawn comparisons with another poisoning in the United Kingdom — the assassination in 2006 of Russian former-spy-turned-Kremlin-critic Aleksandr Litvinenko, who was found by a British public enquiry to have been poisoned by Russian state agents. Skripal was convicted in 2006 by a Russian court for “high treason in the form of espionage” on charges that he had given the names of Russian agents in Europe to Britain’s MI6 intelligence agents during the 1990s. Skripal’s hospitalization is the latest of numerous cases in which Kremlin opponents and critics have fallen ill from poisoning over the years, sometimes fatally, in circumstances that have raised suspicions of KGB-style assassinations. Here is a closer look at various poisons thought to have been involved in prominent cases. Initial reports in British media said authorities suspected Skripal and his daughter were exposed to fentanyl, a synthetic opiate painkiller that is at least 50 times more powerful than morphine. A related synthetic opioid, carfentanyl, is 100 times as potent as fentanyl and as much as 10,000 times as potent as morphine. In addition to medical uses, and abuse as street drugs that often has deadly consequences, the chemicals have been weaponized as potentially lethal incapacitating agents. Weaponized forms include guns that shoot felt pads soaked in the substances, paint-ball type projectiles, and an aerosol spray. The chemicals can be ingested through skin contact or inhaled if they become airborne. The U.S. Centers For Disease Control and Prevention (CDC) has warned that “first responder” emergency workers in cases of fentanyl and carfentanyl exposure can ingest the chemicals by touching the victim’s skin. Two police officers who initially responded to Skripal’s case were treated and one remained hospitalized on March 6. A report by British government scientists who tested clothing and urine samples from three survivors of the 2002 Moscow theater hostage crisis found that Russian special forces used carfentanyl to subdue Chechen separatists who were holding 800 people captive at the Dubrovka Theater. The raid succeeded, but more than 120 hostages died from the effects of the chemical. The same report noted that a Russian general who directed a military chemical institute had said that fentanyls were capable of delivering “a knock-out blow” to subjects within minutes. The most toxic source of Gelsemium poison is Gelsemium elegans, or “heartbreak grass,” a rare variety of a plant that only grows in Asia. Lacing food with heartbreak grass is a known method of assassination by Russian and Chinese contract killers. A Russian oligarch and Kremlin critic who sought refuge in Britain in 2009, Aleksandr Perepilichny had been helping a Swiss investigation into a Russian money-laundering scheme by providing evidence against allegedly corrupt officials in Moscow. He also provided evidence against Russian officials linked to the 2009 death of anticorruption lawyer Sergei Magnitsky in a Moscow jail. Shortly before he collapsed and died in November 2012 at the age of 44 while jogging outside his home in Surrey, Perepilichny told his colleagues that he had received death threats. Although he was the fourth person linked to the Magnitsky case to die in strange circumstances, police in Surrey initially ruled that his death was not suspicious. But on May 18, British authorities reopened an investigation into his 2012 death after new tests discovered traces in his stomach that could only come from the highly toxic Gelsemium plant. The Surrey coroner’s court was told the toxicology report raised “serious concerns” that Perepilichny may have been assassinated for helping expose a powerful Russian fraud syndicate. The court also heard there was “historical animosity” between Perepilichny and Dmitry Kovtun, one of two Russians found in January 2016 by a British inquiry to have poisoned Litvinenko in London in 2006. 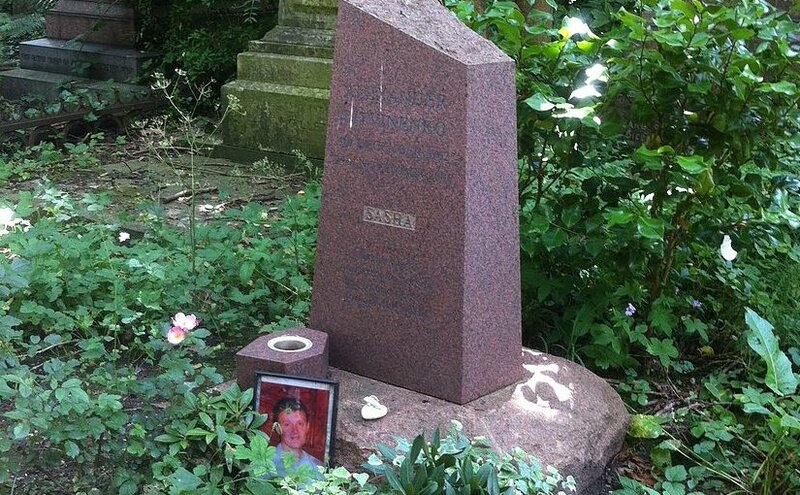 The grave of Alexander Litvinenko in Highgate Cemetery. Photo by Gareth E Kegg, Wikipedia Commons. Polonium is a rare and highly radioactive element that occurs in uranium ores. Polonium-210 is about 250,000 times more toxic than hydrogen cyanide, which is itself an extremely poisonous liquid that can kill quickly in a concentrated dose. A former officer of Russia’s FSB security service, Litvinenko fled to London with his family in 2000 and was granted political asylum. Litvinenko was poisoned in a London sushi bar in November 2006 and an autopsy revealed traces of polonium-210 in his body. British experts said he probably was the first person ever to die of the acute radiation effects of polonium-210. A British inquiry in January 2016 concluded there was “strong circumstantial evidence of Russian state responsibility” and that Russian President Vladimir Putin and his spy chief at the time, Nikolai Patrushev, “probably approved” Litvinenko’s poisoning. The inquiry, led by a retired British judge, Sir Robert Owen, also concluded that a former KGB agent and ex-Kremlin bodyguard, Andrei Lugovoi, carried out the assassination along with Dmitry Kovtun by placing polonium-210 in a teapot that was served to Litvinenko at a London restaurant. Before he died, Litvinenko wrote a letter accusing Putin of ordering his death. He had earlier accused the FSB of staging apartment-building bombings and other false-flag attacks in Russia in a bid to bring Putin into power — claims Russian authorities have denied. Litvinenko had also accused Putin of ordering the killing of Russian investigative journalist Anna Politkovskaya, a Kremlin critic who was fatally shot less than two months before his own death. Thallium is a chemical element that is found in potassium-based ores, but also is a byproduct from refining heavy metal sulfide ores. Small, nontoxic amounts of the radioisotope thallium-201 are used in nuclear medicine scans. Nikolai Khokhlov was a Soviet KGB agent who defected to the United States in 1953 and testified about KGB operations. Khokhlov was treated for thallium poisoning in Frankfurt, Germany, in 1957 after a failed assassination attempt by the KGB — possibly the first radiological attack by KGB agents. Former KGB officers have claimed that Khokhlov was poisoned by radioactive polonium, exactly as Litvinenko was in 2004, rather than thallium. Litvinenko’s poisoning by polonium-210 initially was misdiagnosed as thallium poisoning. ​A Russian investigative journalist and lawmaker, Yury Shchekochikhin campaigned against corruption and the influence of organized crime in Russia. Shchekochikhin died in July 2003 — just days before he planned to meet FBI investigators in the United States — after suffering from a mysterious illness and displaying symptoms of a severe allergic reaction. Russian authorities declared that he died from Lyell’s syndrome, but his medical treatment and autopsy records remain under the control of the FSB. Some researchers say the symptoms of Shchekochikhin’s illness were similar to the radioactive poisoning symptoms of Khokhlov and Litvinenko. TCDD — commonly, though inaccurately, referred to as dioxin — is a colorless, odorless solid compound at room temperature. It is the main contaminant in Agent Orange, the defoliation substance that was used by the U.S. military in the Vietnam War. TCDD has been classified as a carcinogen for humans by the International Agency for Research on Cancer. A Ukrainian politician, Viktor Yushchenko was poisoned with hazardous amounts of TCDD in late 2004 while running for president against Russian-favored candidate Viktor Yanukovych. Tests at the time showed he had the second-highest concentration of TCDD ever measured in a human. As a result, his face was disfigured for many years by chloracne, but he has been slowly recovering. Yushchenko, who favored European integration and Ukrainian membership in NATO, said that his poisoning “was not a private act” and accused Russian officials of hindering an investigation into who was responsible for poisoning him. Official election results declaring Yanukovych as the winner of the vote led to the Orange Revolution protests. The Supreme Court ruled that there had been widespread fraud in Yanukovych’s favor and ordered a new vote, which Yushchenko won. Sarin is a colorless, odorless liquid nerve agent that causes death by asphyxia because victims are unable to control the muscles involved in breathing. It is most dangerous when it is inhaled. The liquid easily turns into a gas and vapor concentrations can also penetrate the skin. Sarin has been classified by the United Nations as a weapon of mass destruction. The stockpiling of sarin is outlawed under the Chemical Weapons Convention. The FSB has said that its operatives killed Ibn al-Khattab, a Saudi-born militant who fought alongside Chechen militants in Russia’s North Caucasus during the 1990s and early 2000s. He died in 2002. Russian press reports say the letter was delivered by a Daghestani double agent who was paid by the FSB. The Soviet Union possessed a weaponized version of ricin poison during the Cold War, when the KGB was suspected in assassination attempts against at least three well-known Warsaw Pact defectors. Ricin is produced naturally within the seeds of the plant Ricinus communis, which are crushed to produce castor oil. The pulp from eight crushed seeds is considered a dangerous dose for adults. But deaths from eating castor plant seeds are rare because of the seed’s indigestible shell and because the human body can digest the toxin. Ricin is most toxic when it is inhaled, injected, or otherwise ingested into the bloodstream. In the form of purified powder, a dose the size of a few grains of table salt is strong enough to kill an adult. The most infamous case is the so-called umbrella assassination of Bulgarian dissident journalist Georgi Markov in London in September 1978. Markov, who worked for the BBC and Radio Free Europe, died four days after a microengineered pellet containing the poison ricin was injected into his leg. British investigators suspect the pellet was fired by an assassin who used a device hidden in the tip of an umbrella while Markov was catching a bus on London’s Waterloo Bridge. A similar assassination attempt had been made 10 days earlier against another Bulgarian defector who worked for Radio Free Europe, Vladimir Kostov. Kostov was shot in the back with the same type of ricin-laced pellet while walking in a Paris metro station in August 1978, but he only ingested a small portion of the ricin in his blood and survived. In August 1981, an exposed CIA double agent, Boris Korczak, was struck in his kidney by a similar ricin pellet fired from an air gun while he was shopping for food in Virginia. Korczak also survived the attack and was convinced the KGB was responsible. Hafizullah Amin was an Afghan politician during the Cold War who served as president for three months in 1979 after ordering the assassination of his pro-Soviet predecessor, Nur Muhammad Taraki. Soviet officials alleged that Amin was an agent of the CIA. A KGB agent who infiltrated the presidential palace and became the chef attempted to poison Amin on December 13, 1979. But Amin suspected he was being poisoned and switched his food and drink with his son-in-law — who became ill and was sent to a hospital in Moscow. Two weeks later, Amin was assassinated by Soviet forces who stormed Kabul’s Tajbeg Palace. The Soviet Union then installed Babrak Karmal as Afghan president. Russian investigative journalist, human rights activist, and Kremlin critic Politkovskaya fell violently ill in September 2004 after drinking tea on an Aeroflot flight from Moscow to southern Russia during the Beslan school-hostage crisis. Politkovskaya believed she was poisoned by the FSB, and media reports said her attackers used an unknown toxin prepared at a former Soviet secret-police poison facility. Politkovskaya survived, but she was shot dead two years later in the elevator of her Moscow apartment building. *Ron Synovitz is a senior correspondent for RFE/RL.